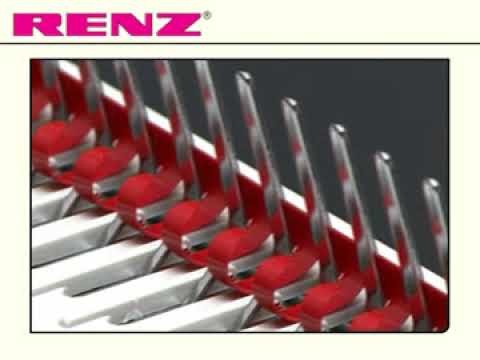 The RENZ Private Bind is a low-end combined manually operated punch and closing machine. The low-cost entry model for manual punching and binding for formats A4 and A5 in US pitch. Easy document handling due to the ergonomic construction. Punching and binding is done with a minimum of effort due to the logically separated functions of the convenient two lever system. The ergonomically correct design of the combi series is based on the ideal work flow; from top to bottom, allowing you to punch and build your book as you go along. Almost all machines are available either in US or in EUROPE pitch. The Private Bind is ideally suited for private users and small offices to bind small series. Punching is possible up to 10 sheets (1 mm) and binding up to 140 sheets (15 mm). US pitch 21 rings for format A4. Also features an adjustable side stop, a feature that allows pages to be added later and is designed in Germany.